On Saturday I had a family friend's funeral/memorial service. My papa's best friend's wife died last week and her service was beautiful. She was an elementary school teacher and a great friend to all and it was a very sad morning. Luckily the afternoon perked us up a little bit because we went to see my little cousins perform in a play put on by their theatre camp! Aren't they adorable? The play was all about bullying which is such an important issue with kids. They all did such a great job and it was a great show to watch! 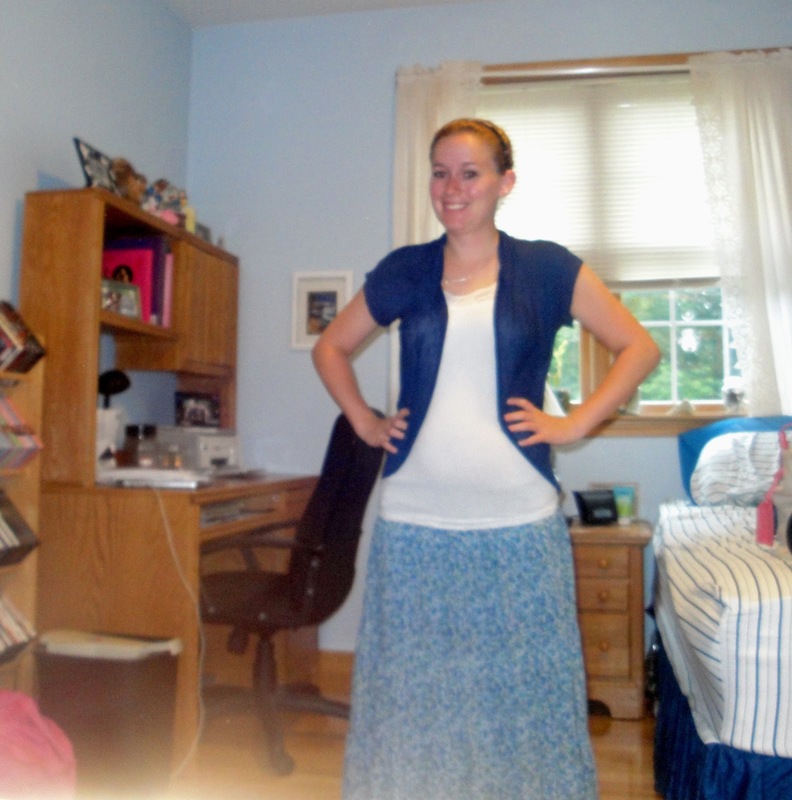 Friday's outfit of the day was a long blue flowered skirt from Kohls, a blue short sleeved sweater from Kohls, and a lace white tank top from Wet Seal. I also am sporting a blue flowered headband from a headband set...I think I got at Target...? I honestly don't really remember! Saturday's outfit of the day. Everything in this outfit is from clothes. Black pants, white sandals, and blue flowy top. Such a comfy outfit that also looks a bit dress. Today I spent the day going out to breakfast with two of my friends and then my family spent the afternoon celebrating my papa's 78th birthday with a party! I will post pictures from that as soon as I get them loaded onto my computer and edited. We had a great time and I can't wait to see them all again!